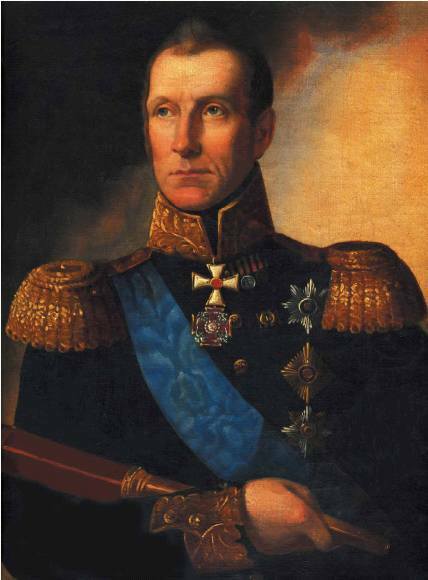 In 1816, Admiral Alexey S. Greig (1775-1845) was appointed as the Commander in Chief of the Black Sea Navy and ports as well as the governor of Nikolaev and Sevastopol. A. Greig had a very big passion for astronomy. After his arrival in Nikolaev, he established in his home his personal astronomical observatory. That is why he was perfectly conscious that without any astronomical support, the Fleet would be unable to fulfill its mission. 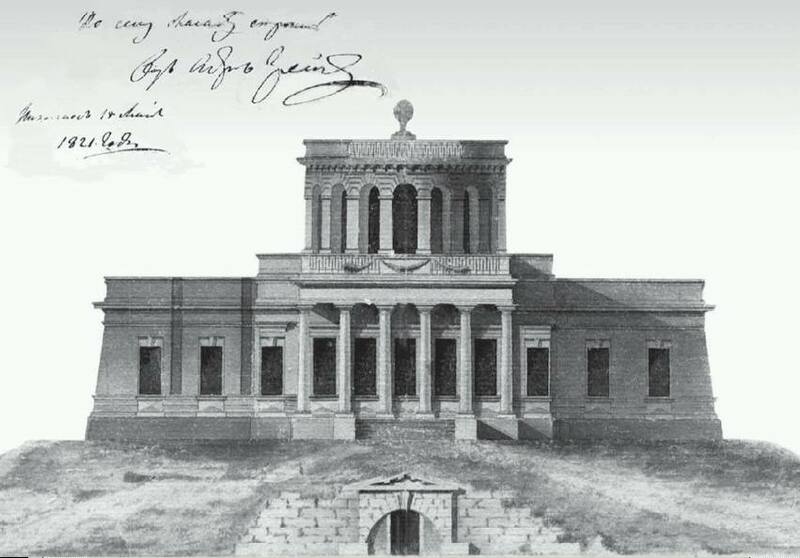 Therefore, A.S. Greig decided to build in Nikolaev a naval astronomical observatory where Navy officers could improve their technique of taking bearings at sea, their knowledge of naval hydrology and topography, and use supporting geodetic landmarks. A hydraulic engineer, Fon-der-Flis was appointed to be in charge of the construction. In 1824, all internal walls were plastered with gypsum, the floor was covered with nutwood parquet. Brass window bars, window glass, cast-iron stairs were delivered from plants in Tula, St. Petersburg, Izhora, correspondingly. In 1825, a cast-iron fence around observatory was started to build. In July 1826, the Main building was significantly damaged after heavy rain. After this case, roof coverage was replaced with more reliable lead roofing tiles. The history of observatory is closely connected with the origin of Nikolaev. Imperial Prince Grigory Potemkin issued an order about laying foundation for a ship building yard in the mouth of river Ingul in 1789 and for the port town of Nikolaev in 1790. In 1796-1856, the headquarters of the Black Sea Navy was situated in Nikolaev to provide seafaring in the Black Sea and, if possible, in the channels of Marmara, Aegean and Mediterranean Seas. In 1816, highly educated person, admiral Aleksey S. Greig (1775-1845) was appointed as the Commander in Chief of the Black Sea Navy and ports as well as the governor of Nikolaev and Sevastopol. Admiral Greig have understood clearly that the seafaring and development of the Navy were impossible without astronomical support. He was the author of idea about foundation of Naval observatory in Nikolaev to provide an opportunity for naval officers to work with astronomical instruments and to widen their knowledge of the astronomical navigation at sea. Moreover, the Navy needed top be provided with astronomical devices and precise clocks, which were necessary for determination of ship's longitude at sea. Having received support from the Naval Minister I. Traverse and permission from the Russian Tzar Alexander I, A.S.Greig entrusted to start a project of observatory to the Chief Architect of the Black Sea Admiralty, F. I. Wunsh (1770-1836). Architect F. Wunsh chose the place for observatory at a local height of 54m above sea level, which was called the Spassky Barrow. The construction of observatory was started in May 1821. On May 19, 1821 the building works was transferred to hydraulic engineer Boris Von der Vlies (1762-1846), the Dutch-born, who was in service in Russia since 1792. On May 23, 1821, 70 sailors arrived on Spaask mound and work started for marking out the foundations and delivering necessary building materials. While digging the foundation pi, workers discovered remains of a contraction dating back to times of ancient Greek colonization of the region. Crushed shell rock, sawed and clay were used as building materials for the construction. Local materials were brought from neighboring village Ternovka. The construction of the observatory always remained under the control of admiral Greig, he frequently showed up on building yard and actively participated in solving many problems arising as work proceeded: he brought some corrections to the overall plan and appearance of the building, decided on allocation of means and materials. In May 1824 the finishing works started. Internal walls plastered with pure alabaster, the floor was made of nut wood parquet, brass window bars, window glass, cast-iron stairs were delivered from plants in Tula, St. Petersburg, Izhora, correspondingly. All suppliers were located at the distance more then one thousand kilometers from Nikolaev. This fact and the low industrial potential of the Russian Empire became reasons of the delay in the construction of observatory, that was planed to be done in 1824. In 1825, finishing works continued. At the same time, the building of the iron fence had been started. In July 1826, the Main building was significantly damaged after heavy rain. After this case, roof coverage was replaced with more reliable lead roofing tiles. In 1828, admiral Greig, who was very dissatisfied with all sorts of delays and the high cost of works, exonerated B. Von der Vlies from leading of the construction of the observatory. The architect L. Opatski was appointed instead of him. The construction was completed in June 28, 1829. The Main building is a classic sample of the infrastructure of scientific institutions of those times when scientific staff was represented by the director and the main astronomer simultaneously and the Main building had many functions. On the North there was built a main entrance to the observatory. It was decorated by a six-column portico of Tuscan order and leads to the square-shaped auditorium. The auditorium ceiling rests on 16 columns arrayed in a circle with an 8 m diameter. Over the auditorium rose a high rotunda covered by a flat roof with an opening made in its centre for the observation of stars near zenith. On the western part of the rotunda Two parallel slits in the walls and the ceiling were made for observations of the celestial bodies in the meridian plane. A common foundation for the telescopes had a form of truncated pyramid with the base of 6.6m x 2.1m and height of 4.8m. An office of the main astronomer, a library, a warehouse and cast iron stairs to the roof were situated in southern part of the building. At the same time, a search for a candidate to the post of naval astronomer had been started. To solve this question the the Minister of the Russian Imperial Navy marquis de Traversay turned to academician F.I. Shubert and asked him to elect a suitable candidate for the post of navel astronomer of the Black Sea Fleet. In order to fulfill the request of the Navy Minister, F.I. Shubert contacted the director of Dorpat Observatory, Wilhelm Struve (1793-1864), and later became the first director of Pulkovo Observatory in Russia. He recommended his talented 4th-year student, Karl-Friederich Knorre, who was happy to receive the proposal to move to the South of Russia and to except the post. In 1825-1827, K.Knorre visited the best observatories in Germany, France, England; met with well known astronomers like V. Struve, F. Bessel, D. Arago and others; ordered devices and telescopes for future observatory. The duties of director included the teaching of Cadets of the Naval Collage, the performance of hydrographical works, installation of telescopes and provide with exact time and coastal charts. In the initial period of work at the observatory K. Knorre performed hydrographical works in the Sea of ​​Azov, Black and Marmara seas; he made the description and determined the exact geographic coordinates of the many strong points charts of listed Seas (longitude and latitude). Along with a variety of daily activities K. Knorre was engaged in scientific astronomical research. His name entered the history of astronomy as the author the 5th sheet of the celestial map for the Berlin Academy with a help of which minor planets Astrea and Flora were discovered. K.-F. Knorre was also responsible for equipping annual hydrographical expeditions with all necessary instruments, apparatus and various devices. All sextants, theodolites, portable drawing boards, chronometers and many other items had to be handed over to field geodesists in perfect condition. At the end of every nautical campaign, these instruments, and above all chronometers, were carried to Nikolaev where K.-F. Knorre checked them and took measures for having the damaged ones repaired. K.-F. Knorre attached a great importance to the presence and acquisition of a good collection of printed materials in different languages. The library catalogue which he set up personally included nearly 8 500 titles, among them a Bode Atlas, 1801, a Berolini Atlas, 17 plates; a Black Sea Atlas (description by captain-lieutenant E.I. Manganari) engraved in Saint-Petersburg, 1841, 23 maps; issues of the “Navy Compendium” starting from 1854; an Encyclopedic Dictionary (Brockhaus and Efron), St. Petersburg, 83 volumes; issues of the periodical journal “Astronomische Nachrichten” starting from 1820; books and materials on astronomy (tables, observation journals, catalogues, periodical publications from almost all observatories of that time), geographical and naval publications and materials, books on mathematics, physics, technology, handicraft and art; dictionaries and encyclopedias, manuscripts and correspondence, etc. In addition to his direct responsibilities K. Knorre participated in a public life, for which he was elected as an Honorary member of the Directorate of Noble Meeting. K.F. Knorre was promoted a rank of corresponding member of the Imperial Academy of Science in Saint-Petersburg. 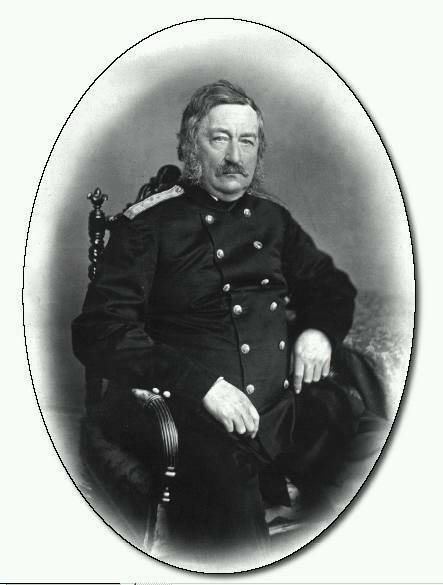 He served as an astronomer of Black Sea Fleet for 50 years and in 1871, with the rank of vice admiral, he asked for retirement. In 1872, I.E. 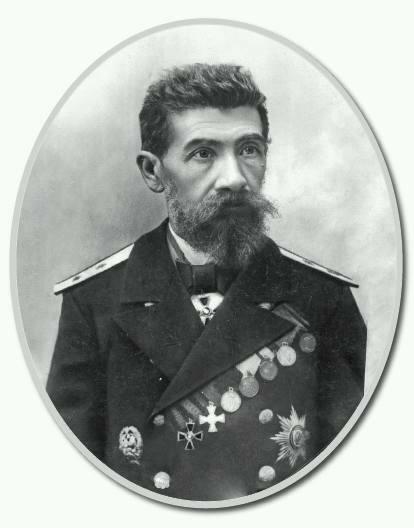 Kortazzi, the astronomer from Pulkovo observatory, professor of higher geodesy and practical astronomy of Military Academy, was appointed instead of K.F.Knorre and became the new naval astronomer. He kept and maintained friendly relations with colleagues at Pulkovo Observatory and especially with its director, Academician Otto V. Struve. On the period from 1876 to 1892, Kortazzi had determined the exact position of almost 6000 equatorial stars to 9th magnitude using the meridian circle. 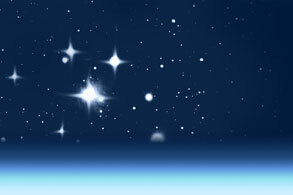 This work is known in the history of astronomy as "Nikolaev Equatorial Zone." In 1876 a large 9-inch refractor (from Repsold firm) was activated, using it I. Kortazzi had determined the rotation period of Jupiter around its axis and studied the motion of the various spots, including the famous "Graet Red Spot". He obtained a large number of observations of comets and other Solar system bodies. Kortazzi had conducted a lot of hydrographic and geodetic works, particularly in the field of charting of the Black Sea coast (from Nikolaev to the Crimea up to the city of Batumi). From 1891, on the horizontal pendulum in the basement of the observatory, which was set by German professor Reber Pashvittsa, I. Kortazzi had conducted seismic studies. In 1901, according to the imperial order, he was appointed the member of permanent Seismic Commission of the Russian Empire. During the direction of I. Kortazzi the main building and rotunda was repaired, where after the library of the observatory was placed. In autumn 1875, on the roof of the rotunda the support for the Time Ball was set to demonstrate the Nikolaev mean noon. In 1875, two pavilions for instruments and a special annexe for storing tools and equipment were built not far from the main building. After 30 years work as director I. Kortazzi suddenly died in September 1903.